Capturing the essence of a blooming flower, this threadless end from Quetzalli is created from solid 14K gold with genuine sparkling gemstones. The Bloom threadless end is available in solid 14K yellow gold or white gold with a stainless steel threadless post. 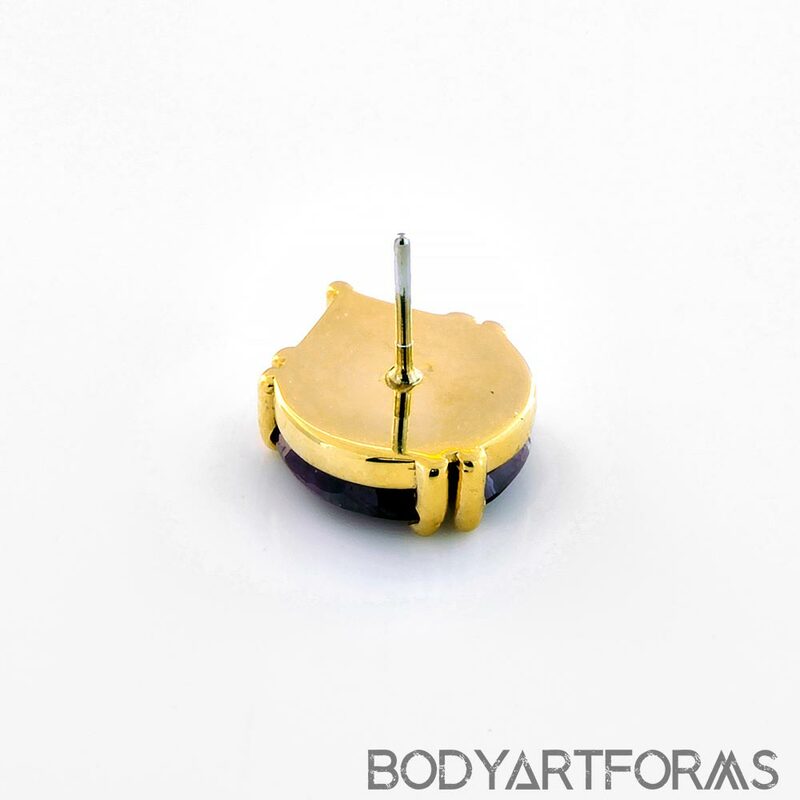 The Bloom end design measures approximately 8.4mm tall by 6.6mm wide. 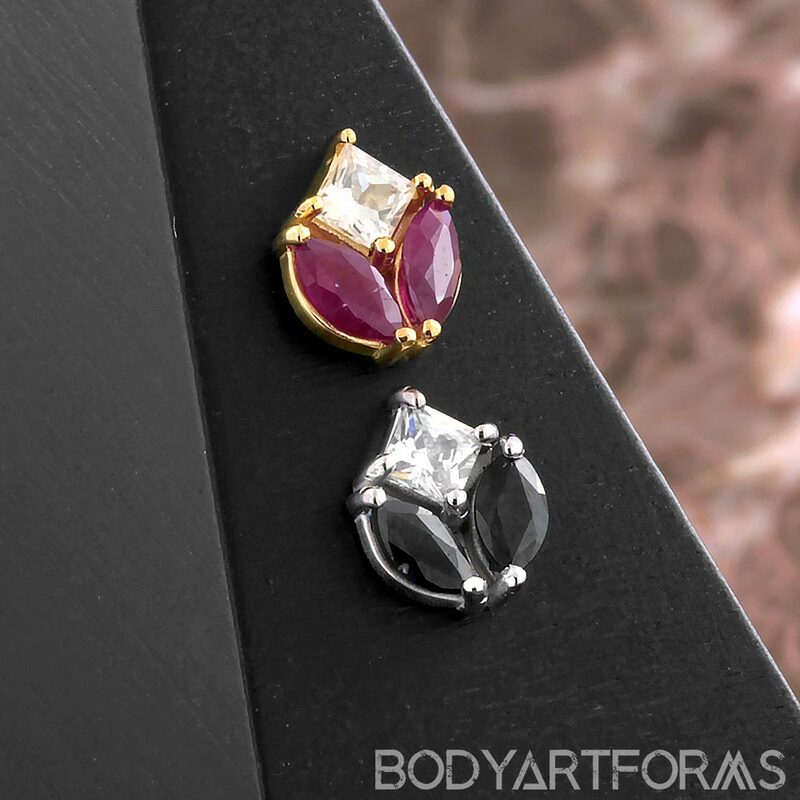 The CZ inlay measure 4mm tall by 4mm wide, and the genuine gemstone inlays measure 5mm tall by 2.5mm wide. More threadless jewelry can be found here.